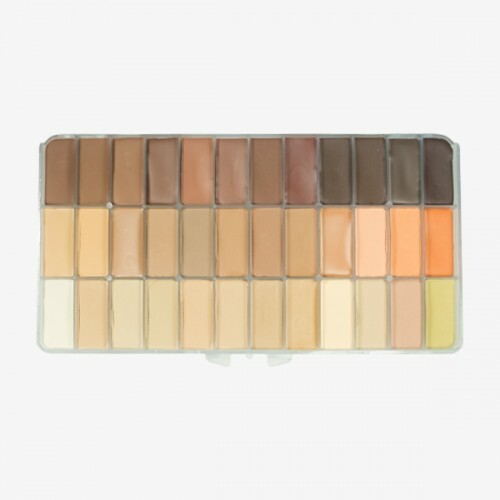 This is a lovely skin-toned version of the popular 36-colour Fard Creme Palettes from Maq Pro. These are wax-based palettes that last for 20 years, even if placed near extreme heat or cold. The foundations last for 12-15 hours on the skin. Because they are wax-based, you need to work them a little bit to warm them up in order to apply smoothly, but they give a great coverage which looks like skin.